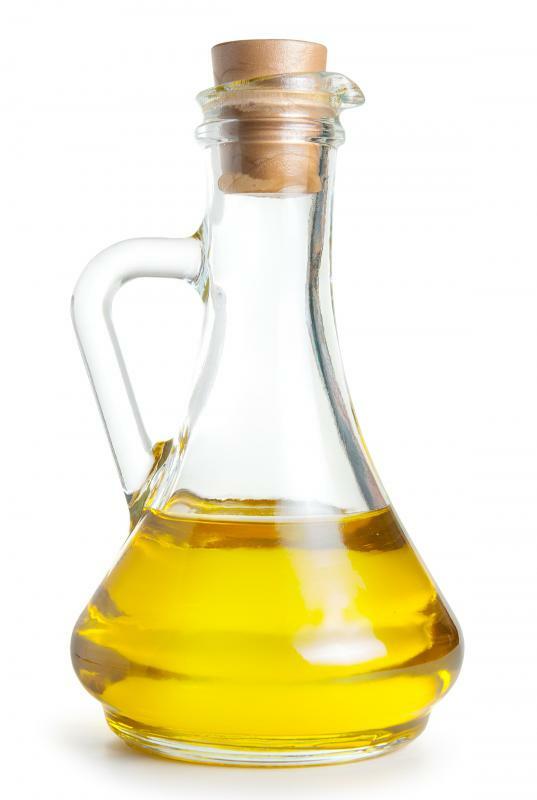 Olive oil, which is used for making harissa. 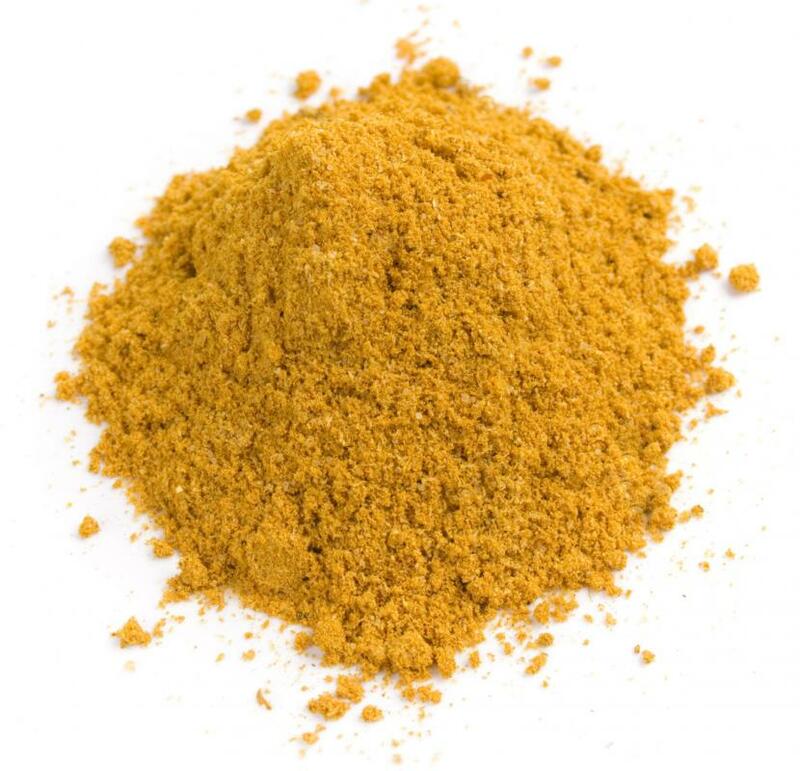 Ground cumin, which is used to flavor harissa. 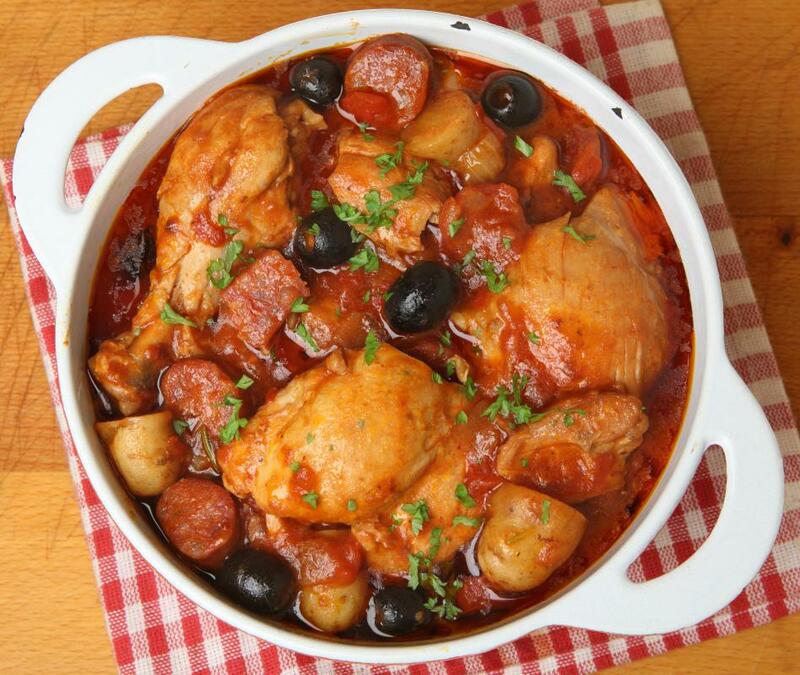 Fiery harissa is often added to chicken stews in North African cuisine. 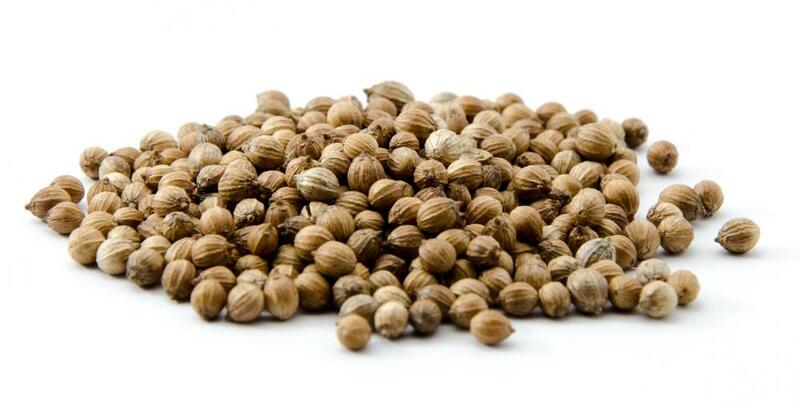 Harissa typically includes ground coriander seeds. Rose harissa contains rose petals, and is not quite as firey as traditional harissa. 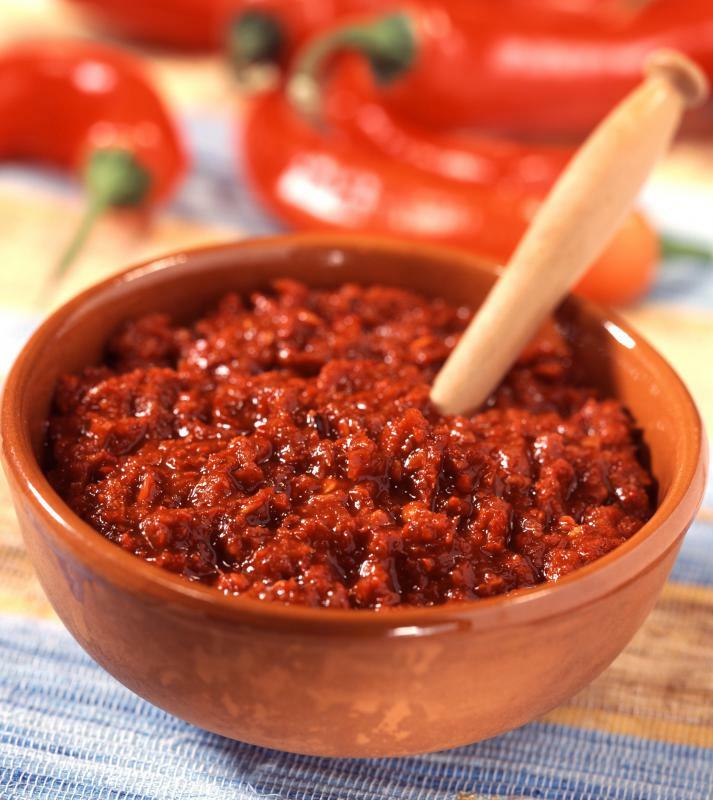 Harissa is a spicy sauce that is a major feature in North African cuisine. It can be used like a condiment, and frequently the sauce appears on the table in a small dish as an accompaniment to traditional meals. It is also a major ingredient in many soups, stews, and curries. The piquant sauce is available in cans or tubes in markets which carry common North African or Middle Eastern ingredients, and it can also be made at home. Freshly made harissa is generally spicier, as the cook can control the ingredients and use fresh peppers. Tunisian, Libyan, and Algerian cuisine all feature large amounts of harissa. The spicy sauce may be used to rub meats before roasting, or it can be mixed into the rich sauces used when stewing meats. It is often paired with couscous, since the starch of the couscous will help to cut the spice of the harissa. Some people use the sauce like sri racha or sambal olek, as an addition to foods that are not quite spicy enough. When harissa is made, peppers are ground together with garlic, cumin, coriander, caraway seed, and olive oil. The types of peppers will determine how hot the sauce is. Some cooks used dried chili peppers, while others roast fresh chilies to lend a slightly smoky flavor to the finished product. In all cases, the sauce will take the form of a fiery red paste when it is finished. The paste can be pasteurized and canned, or used immediately. 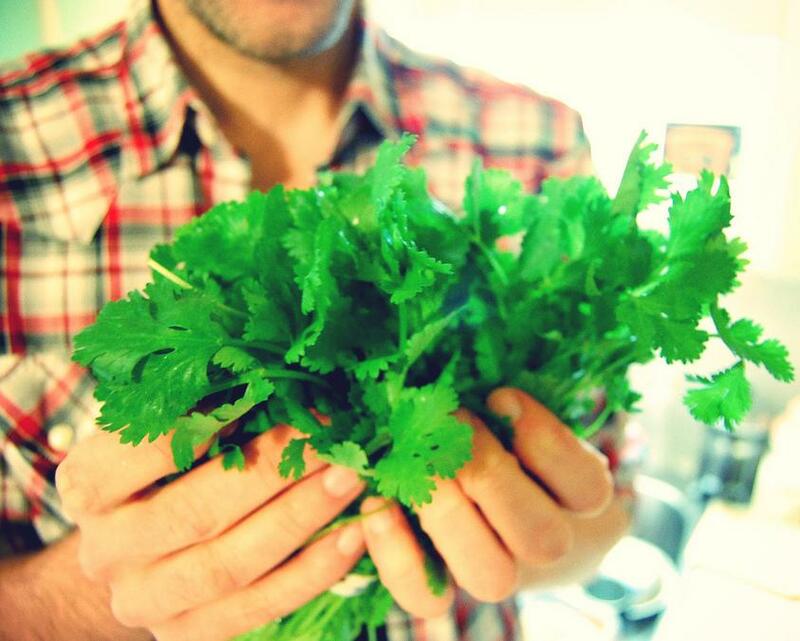 There are some variants that are enjoyed in smaller regions of North Africa. 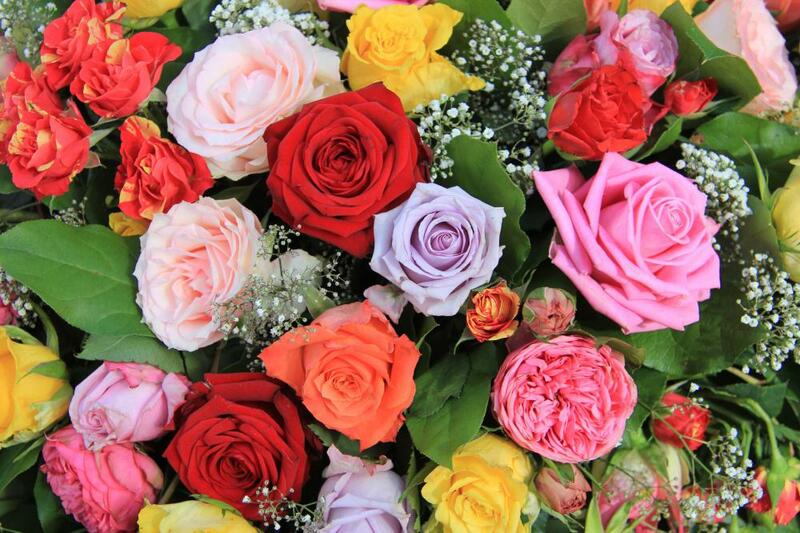 Rose harissa, for example, incorporates rose petals. Tagines, kebabs, and meatballs in Tunisia may call for this variety, which has a complex flavor created by mixing as many as 40 spices. The addition of rose petals makes the harissa slightly less fiery, although it still packs a punch. Some cooks also add tomatoes to cut the spiciness and stretch the sauce. When selecting harissa in the store, consumers always check the expiration date, as it will get progressively less hot the older it is. Once a can has been opened, the contents should be transferred to another container and refrigerated. The sauce should be used within a week for the best results. Harissa in a tube may be shelf stable at room temperature once it has been opened, but refrigeration will help to preserve the flavor. How can I Make Roasted Peppers? When I was in Morocco, I saw people eating harissa like we eat ketchup in the United States. The harissa containers sort of looked like ketchup containers too. The first time I tried it, I was taken a bit by surprise because I was not expecting it to be that hot. I got used to the flavor over time though and now I'm back in the States and I buy Moroccan harissa all the time. My favorite way to have harissa is by mixing it with mayonnaise. So I basically make aioli with it, it's so good! It goes really well with chicken and fries. @fify-- Oh no. Harissa is much more than a hot sauce, I would know, I grew up eating it. Yes, it's hot, but it also has spices (and some versions have garlic), so it's a much richer, much more complicated flavor than a hot sauce. And it's not a sauce either, it's a very thick paste. The only time it's more watery is when they add water or stock to it to use in soups and other dishes. I would suggest that you use actual harissa if a recipe calls for it because you're not going to get the same flavor with hot sauce. Buying harissa is not hard either, all Middle Eastern groceries generally carry it. @clyn-- I was going to say that harissa sounds like the hot chili sauces found in Asian cuisines like Indian and Chinese cuisine. The name is different, but it's really not a different concept. Many Americans also love their hot sauce and I'm guessing that harissa is about as hot as our hot sauce found in stores. I have a recipe that calls for harissa paste, but I might just use hot sauce instead. I had a recipe for harissa, but when I made it, it was more like a standard hot sauce. Disappointing. This description makes it sound very tasty, though, so I'll have to try it again.